Bob Dignazio brings experience as a player, coach and administrator to his new task of recruiting the next crop of Macalester Athletes. Photo courtesy of Macalester Athletics. The 2015-2016 year brings quite a few new faces to the Athletics Department. One of those faces is Bob Dignazio, Macalester’s new recruiting coordinator. Dignazio grew up in Wallingford, PA, and earned his bachelor’s degree in history from Kenyon College. While at Kenyon, Dignazio was a lacrosse star and a hard worker, earning the Bill Heiser Award for hard work and dedication along with All North Coast Athletic Conference honors for his role as a defenseman on the team. Dignazio loved his time at Kenyon. “I had a great experience there. The coaches and players worked very hard to move the program where it hadn’t been in quite some time,” he said. After his time at Kenyon, Dignazio got a job at Randolph-Macon College in Virginia, where he coached lacrosse and worked in the administration. After this, he continued on to pursue coaching back at Kenyon. 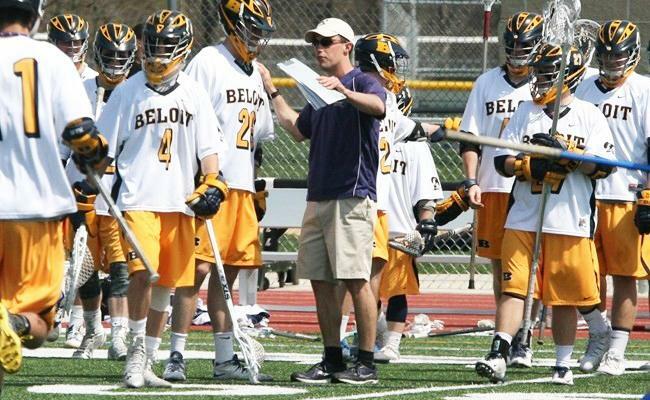 After his stint at his alma mater, he started the lacrosse program at Beloit College, where he coached for four years before arriving at Macalester to work in the athletics administration as the recruiting coordinator. “I knew I’d ultimately want to go into administration,” Dignazio said. During his time at Beloit, Randolph-Macon and Kenyon, Dignazio recruited extensively all over the country for institutions that were academically on par with Macalester. All of these schools are much like Macalester, in the sense that it is expected that the student-athletes get their homework done and succeed in the classroom before they step on the field. Dignazio’s experience at these schools will help him to succeed here at Mac, as he will be helping to recruit similar kids to those he recruited at his previous jobs. Dignazio joins an already dedicated group of people in the athletic administration office. Every time he comes to work, he sees a large sign in the athletic office that shows a quote by Macalester’s President, Brian Rosenberg. 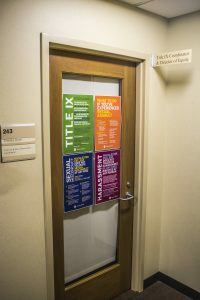 The sign reads: “Our goal at Macalester is to have an athletics program consistent in quality and rigor with our first-rate academic programs.” This is a pretty tall task, considering Mac consistently ranks every year in the top 25 liberal arts schools in the country. However, Dignazio is up to the task. 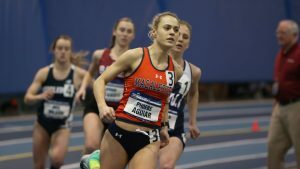 “[My goal is] To help our coaching staff distinguish Macalester and our athletic programs, and engage prospective students in different ways,” Dignazio said. So far, Dignazio’s expectations and goals he set for himself make him a great fit in the Macalester community and will make him very successful in his time at Macalester.